__ Mason loves his fiancée, but he’s fed up with the stress of planning and preparing for the wedding. Enough already! He needs a few days away. He knows he should have just checked into the nearest hotel, but instead he finds himself driving south. His destination? Jasmine’s house. Aside from that one night many years ago, he and Jasmine have managed to maintain a strictly platonic relationship. A few days away with a friend, he thinks, it’s just what the doctor ordered. Right? 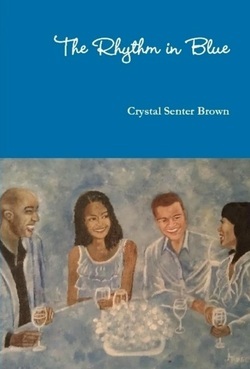 See how the lives of Mason and Jasmine will intertwine with those of Jacob, Keisha, Frankie, and so many others in the small southern town of Blue, Virginia. Blue is full of good food and sweet Southern graces, but it also proves to be filled with a few dark secrets. This is a story about failure, redemption, forgiveness and, above all, love. These characters are stirred by unique passions and colorful pasts. See how ten people become the pulse of this tiny little town; they are, quite simply, the rhythm in Blue.